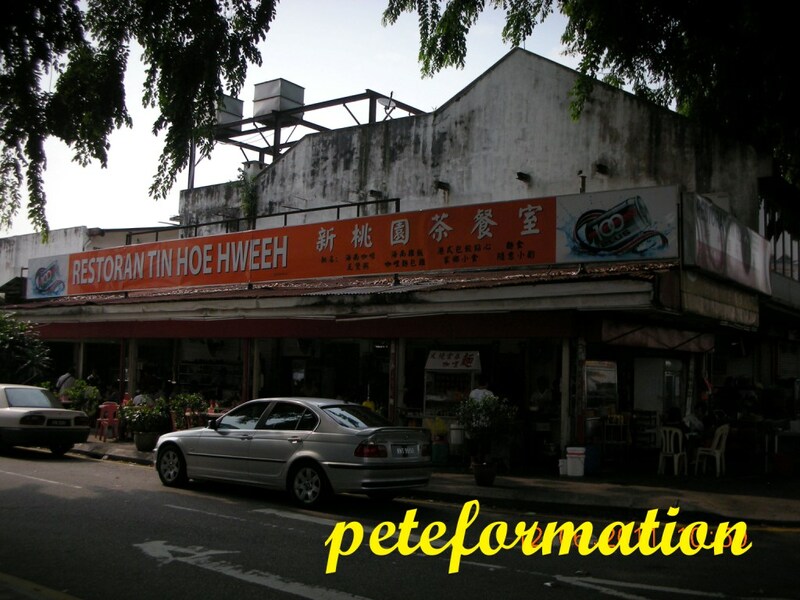 Tin Hoe Hweeh is located in busy Jalan Ipoh Road in KL. It is rather hard to find parking in this area and you can see many customers park their illegally by the road side during peak hours to dine here. Everytime, whenever I passed by Tin Hoe Hweeh, I noticed that there is always a good crowd in it. I happened to be in town rather early one Sunday morning and decided to try out the food in Restoran Tin Hoe Hweeh. 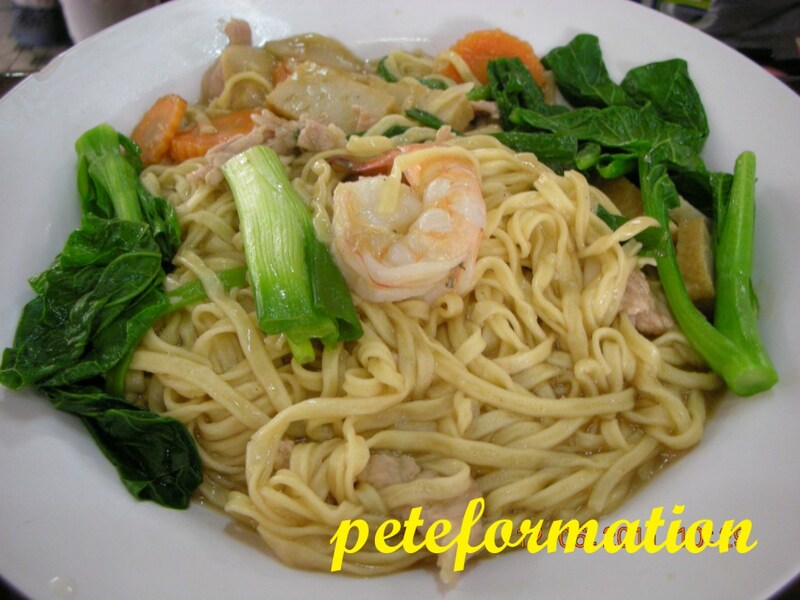 The Si Tau Poh (lady boss) recomended the chiu pai (restaurant specialty), Hong Kong Noodle. It is actually flat noodle with a little gravy and taste a little like Singapore Heh Mee. 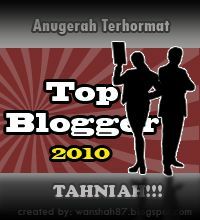 The serving is rather generous but I paid around seven ringgit plus for it. The gravy is sweet and flavourful. It goes along well with the springy flat egg noodles. Overall, I was quite satisfied with the Hong Kong noodles. There are many patrons having their morning dim sum here, so it would be a shame if I did not try my favourite chicken feet dim sum! LOL! Taste really good! Ate the flesh and skins until clean.....only bones left! ha ha ha! The chicken feet looks tasty....yumyum,my favourite too..
Don't know why I thought of bacon and eggs when you said breakfast! lol. 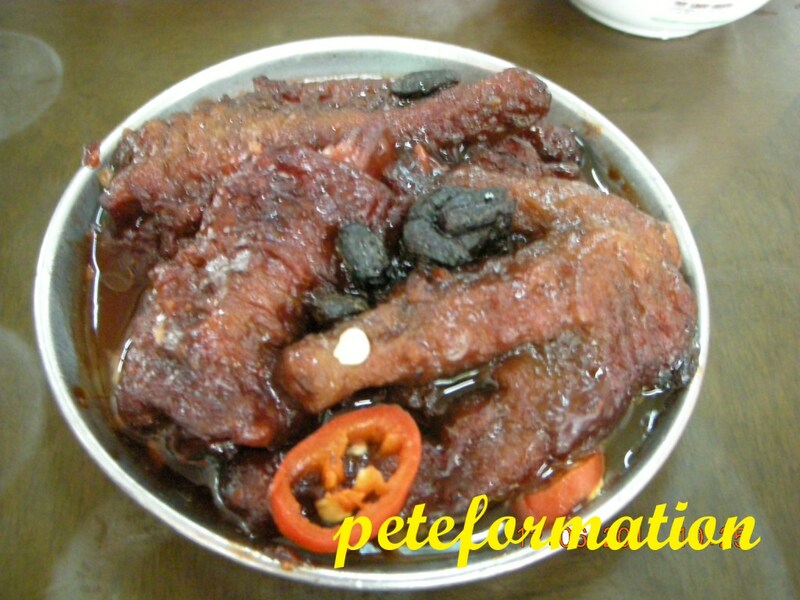 I agree, the chicken feet looks tempting!! Chicken feet and prawn mee are so yummy. I am on diet, don't tempt me please. I used to work here 5 years ago...really missed it. Times flew really fast! !